The Trent Cole Extension is One of Many Moves.. 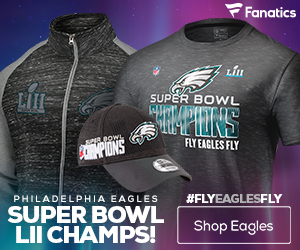 The Philadelphia Eagles are mixing things up from last off-season, with this year putting a heavy focus on re-signing and making in-house changes before looking towards the free agent market. Yesterday, the Eagles handed Todd Herremans a three-year extension, and the team continued the trend today, signing and extending several other players, and also making a small trade. Trent Cole, much like Herremans, still had time remaining on his contract, but the Eagles showed loyalty by giving the Pro-Bowl defensive end a four-year extension. Last season, Cole was one of the few bright spots on an all around bad defense, hauling in 11 sacks. The combo of Jason Babin and Cole was as good as advertised, and the Eagles clearly want to keep the two working together moving forward. This move likely will keep the 29 year-old Cole a career long Eagle, and hopefully his production will stay as solid as ever. His extension is expected to be somewhere in the $53 million range, with $15 million guaranteed. Winston Justice, a back-up offensive tackle, was traded along with Philadelphia’s sixth-round pick to the Indianapolis in exchange for the Colts sixth-rounder. It’s a really straight forward deal, and Philadelphia dumped off Justice’s contract and moved up in the sixth round to the second overall selection. According to various sources, the Eagles will save around $4 million in cap space by trading away Justice. It made sense for the Colts, as Ryan Grigson, the new general manager, is a former Philly front office guy, and he’s familiar with Justice. However, with Justice no longer being on the team, the Eagles will have to look elsewhere to find a replacement at tackle. I’d expect the Eagles to look towards the draft in one of the later rounds to fill the slot. Antonio Dixon was a restricted free agent, and the Eagles quickly signed him to a low key one-year tender before another team snagged him up. 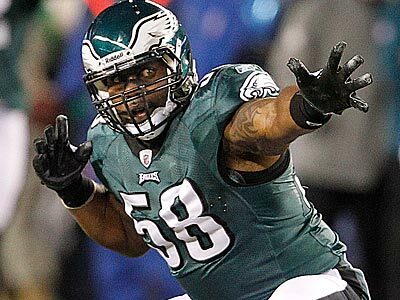 This may not seem like a huge signing, but Dixon is a very valuable piece to the Eagles defensive rotation. Behind Cullen Jenkins and Mike Patterson, Dixon is a great run stopping defensive tackle, and if not for a season ending injury in 2010, he could very well have been a starter in Philadelphia this year. His value is only going to get higher, and Dixon will play a very important role in the Eagles defense in 2012. Another Eagles offensive lineman that was kindly shown the door — Jamaal Jackson lost his job last season to rookie center Jason Kelce. Jackson was a long-time Eagle, and a solid veteran, but was released to free up some cap space. This isn’t an uncommon trend in the NFL, and teams are not as willing to pay veterans inflated contracts if there are alternatives. With his release, the Eagles have cleared $1.5 million in cap, as the front office continues to make moves to free space. Jackson was solid, and as a nine-year member of the Eagles, it’s a tough thing to see. But more than likely, another team will snag him out of free agency and he will get a chance to be a starter, something that wasn’t possible in Philadelphia. The Eagles have been dead quiet in free agency, and hopefully the team is still pursuing a veteran linebacker like London Fletcher. There haven’t really been any strong rumors, but anything is possible. The Eagles need a player like Fletcher, and Fletcher needs a team like the Eagles. It’d be a perfect fit, but no contract has been signed yet. Now that everything is said and done, and push came to shove, the Eagles caved and gave DeSean Jackson his five-year $48.5 million contract. 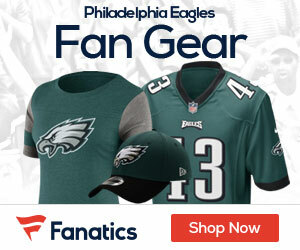 There was a rumor that Lofton signed with Philly, but it turned out to be false.